MASKerade: CASology 132 - Hot! 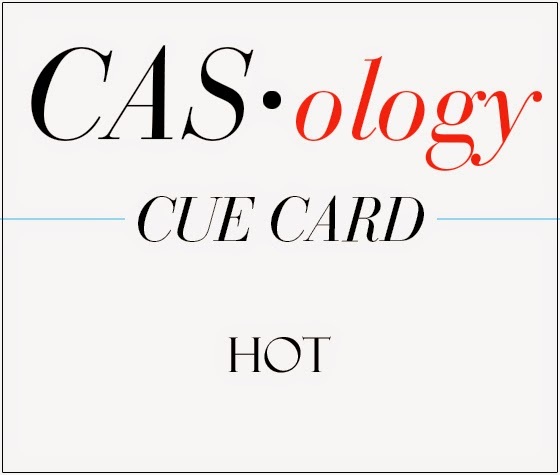 This week's CASology Cue Card is Hot! There are so many fun ways to go with this, and I have managed to include two of them: 1) cooking (hot food) and 2) good looking (hot person). Now it's your turn. Up here in the Great White North, you may have to imagine something (or somewhere) hot. If you're in Australia, you probably have no trouble imagining something hot! lol! Wherever you are, I hope you'll join us! Here are links to the rest of the DT Members' blogs - make sure you go get even more inspiration from them! What a cute little chef. His mustache just cracks me up! I love this little guy and the way you have coloured his little scarf! It is incredible to imagine you rugged up in the Great White North while we swelter in the lower latitudes! A super fun card! Such a fun card, Ardyth. Also love your subtle colouring and shading. OH MY GOODNESS! Ardyth! Where has this cute guy been hiding from me? So fun, I love this flirty Chef! Very FUN!!!! Love the mustache! Perfect placement! 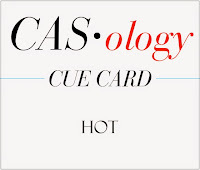 Ardyth, I love the "cartoon" feel of your card...and the sentiment is doubly perfect for the cue this week! Clever use of the stamp to keep it CAS! Wonderful card! Great how you included 2 interpretations of hot. That chef image is darling, and I like how you have only used part of him. That chubby, little chef is so cute! Love the way you used a partial image and your subtle grey shading is perfect! Hey Ardyth!! Your card is so stinking cute!! I love that chef! Nicely done. Just too darn cute. I love your sweet little chef. 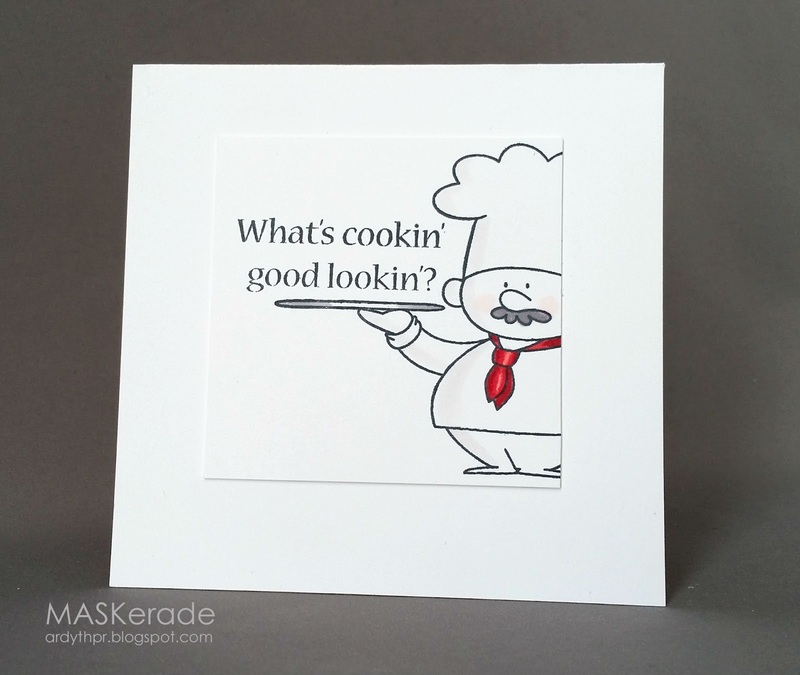 Love, love, love this little chef and your card! I love your black & white with a touch of red. So sweet!! !